Everyone seems so certain, everyone knows who they are. “Are you travelling with Air Asia?” the lady almost fully hidden behind the counter looked with kind eyes at me. A little confused I looked up at the huge wall behind her that was one giant picture with the Air Asia logo. I couldn’t be at the wrong counter could I? The lady smiled at me and told me that this is the right counter – but it is the wrong airport. 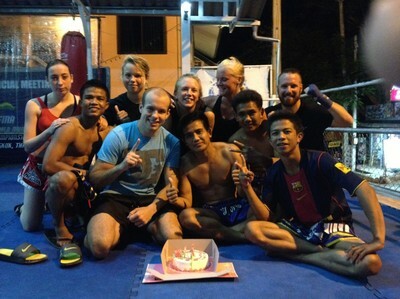 Since I left Koh Samui, Lamai and WMC Lamai Muay Thai Camp nothing has really gone my way. Maybe I wasn’t supposed to leave. I am queuing at the wrong lines, jumping on the wrong bus and end up in the wrong airport. Maybe it is a sign that I shouldn’t have left that place that made me feel so much at home? Maybe I am supposed to stay in that Muay Thai family where we laugh all training long and spend the evenings talking about everything and nothing at the market? Or maybe is it just a sign that I really should read through the tickets and the ticket information before I buy them? This year has really been the year where I have left little bits and pieces of my heart all over the world. I felt at home behind a reception in Nicaragua, fell in love with diving and Utila Dive Center in Honduras and left a part of me in New Orleans. A part of my home will always be in Sweden and in Norway. And now I lost even a little bit more of myself in Thailand. That is also why I have been so bad writing, I was busy enjoying. I have really developed my skills in Thaiboxing (which maybe isn’t that strange since it started out on zero) and I don’t think I ever before have been able to do this many push-ups on my toes during one and the same training session. 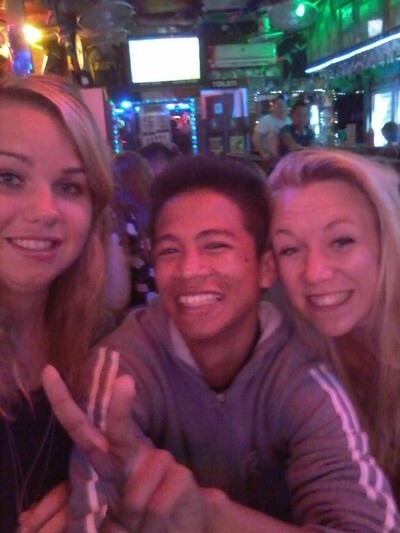 I have learned how to count to ten in Thai after a very intense taxi ride after a night out. 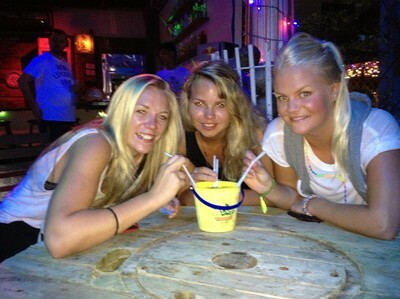 I have gotten the reputation as the Swedish girl who slept in the boxing ring after another night out and painted myself and friends all over with glow-in-the-dark-paint even though I just a few days before sat and damned the ones that did it. I have had a numerous number of tasty pad thais and only one ice cream. I have gotten pool-lessons and taught others the difference of Sweden and Switzerland. But most of all I have gotten some really amazing friends. 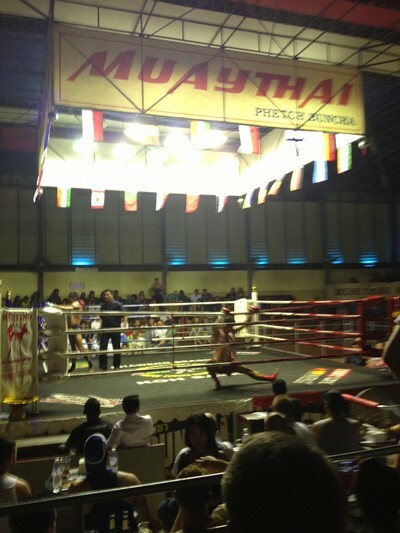 Spending time at five airports in one day made me, finally, end up in Phuket and Tiger Muay Thai, just like I had planned. 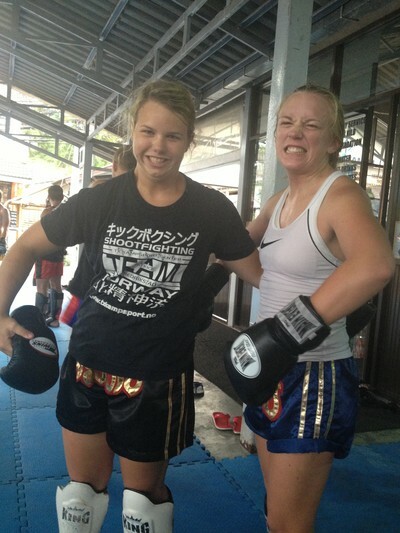 With a fresh 30 day tourist visa in my passport I am now starting on my fourth week of training here in Thailand.